Ian McGowan was born in Falkirk, near Edinburgh, and completed his schooling there before being articled as an apprentice to a Glasgow chartered landscape architect. After qualifying professionally and working around the UK, he was employed as a director of a large multi-disciplinary design consultancy, later founding his own landscape architectural practice which he ran from 1988 until he became a full time artist ten years later. His work as a designer gained the Royal Town Planning Institute’s Jubilee Cup and two Civic Trust awards. The grandson of a gifted amateur artist who taught him the basics of painting as a child, Ian’s passion for sports cars began in the early 1950’s with jaunts through the English countryside in an uncle’s pre-war MG TA. Despite career success as a landscape architect, painting and fast cars remained his abiding passions and he was to contribute motoring and other illustrations to the popular press for many years on a semi-professional basis before finally taking the step into full time art. 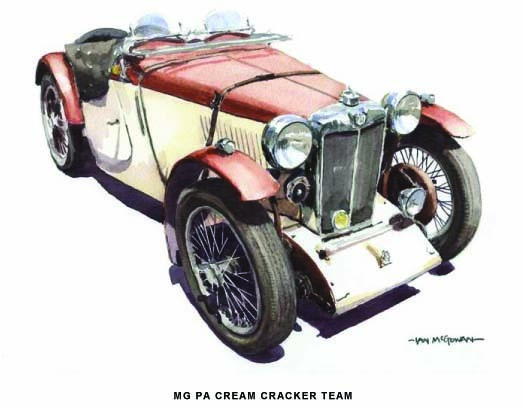 Since then, he has illustrated innumerable greetings cards and limited edition prints and provided motoring images for purposes as diverse as book illustration, magazines, product packaging, gift tags and decorative art. His preferred media are watercolour and gouache, with occasional forays into ink and wash. Vintage sports cars, racing cars, motorcycles and motor racing scenes form the bulk of Ian’s commercially licensed images, illustrations, prints and gallery art for sale to the public. However, he also paints vintage aircraft, lorries, trams and horse drawn vehicles whenever the opportunity arises. Morgan sports cars have also figured prominently Ian’s life, and he retains great enthusiasm for the three wheelers. 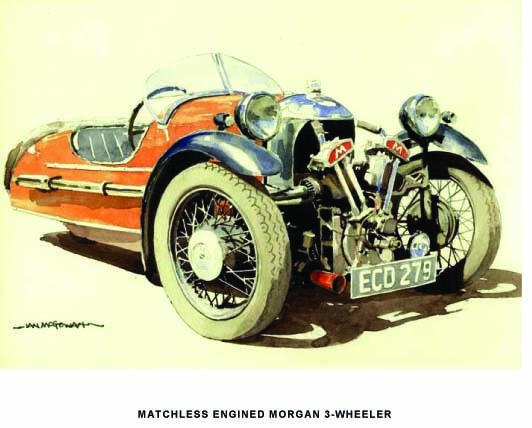 Some years ago a popular series of his Morgan three wheelers was published as a set of prints and cards, and he plans some day to complete the entire Morgan range, past and present. He is an enthusiastic sailor who has owned several classic boats, so yachts, traditional coastal craft and paddle steamers appear in the backgrounds of his paintings from time to time, although he does not consider himself a marine artist as such. Another of his interests is the life and times of British motor racing legend Mike Hawthorn. Fine art publishers The Tourist Trophy Garage currently market several limited edition prints and greetings cards of Ian’s paintings featuring Hawthorn, who was Britain’s first motor racing World Champion. Married with two children and three grandchildren, Ian and his wife Fran live between Edinburgh and their adopted home in the Limousin region of France – in a farmhouse they restored many years ago located in a rural landscape that figures frequently in Ian’s work. 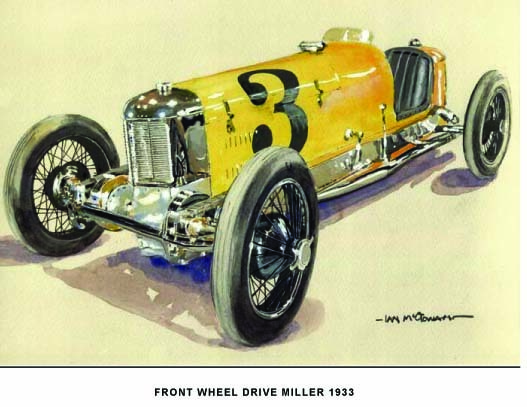 Ian McGowan’s motoring art is held in many private collections, mostly in Europe and the United States. 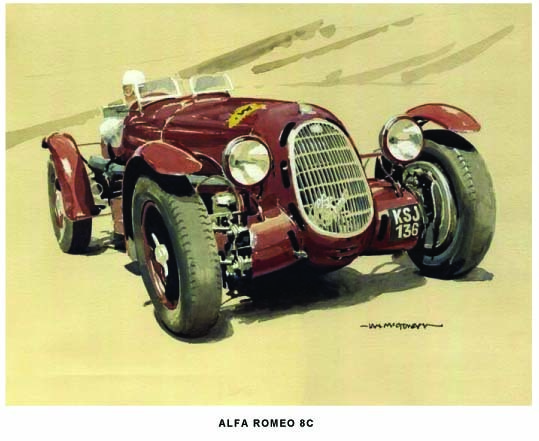 He is also a current member of the Guild of Motoring Artists. Agent�s website giving more images. www.advocate-art.com Search on All Artists, then Art Licencing.